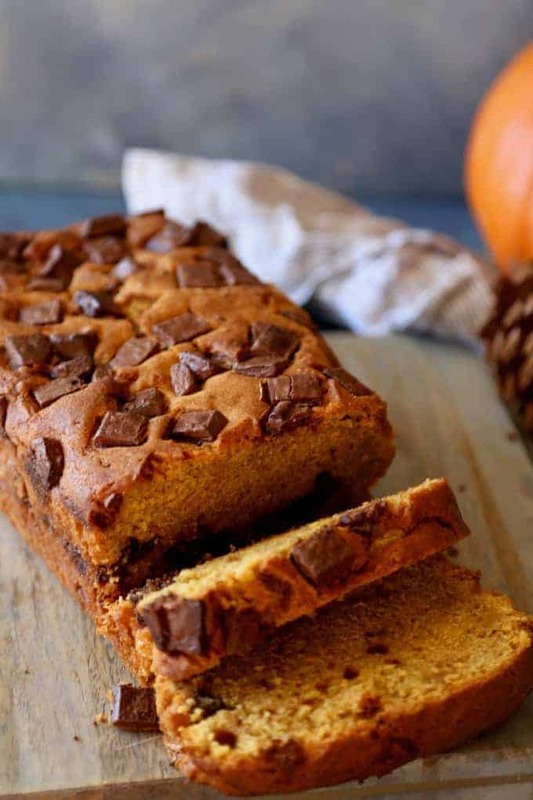 Chocolate Chip Pumpkin Bread - an Amazing Thanksgiving Dessert! 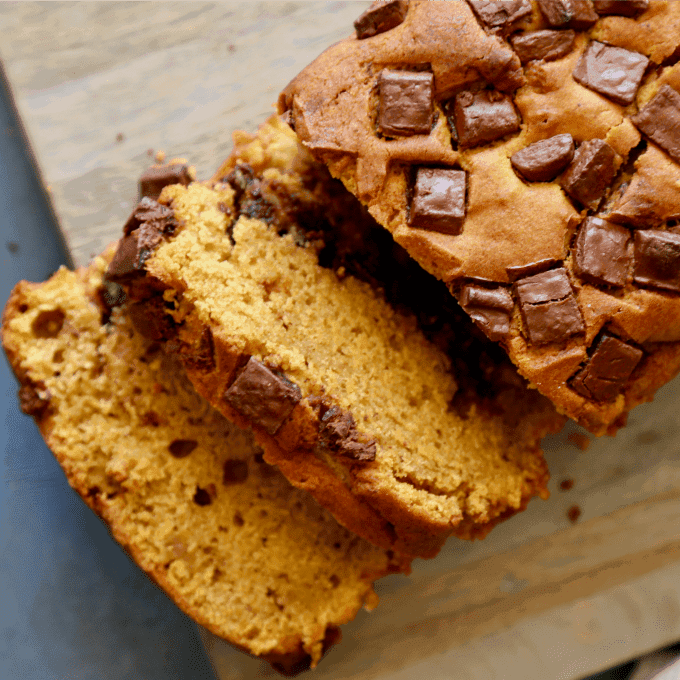 This Chocolate Chip Pumpkin Bread is a Fall must have. With it’s sweet cinnamon, chocolate and pumpkin spice flavors swirling together to create this moist and delicious Halloween treat or Thanksgiving dessert! 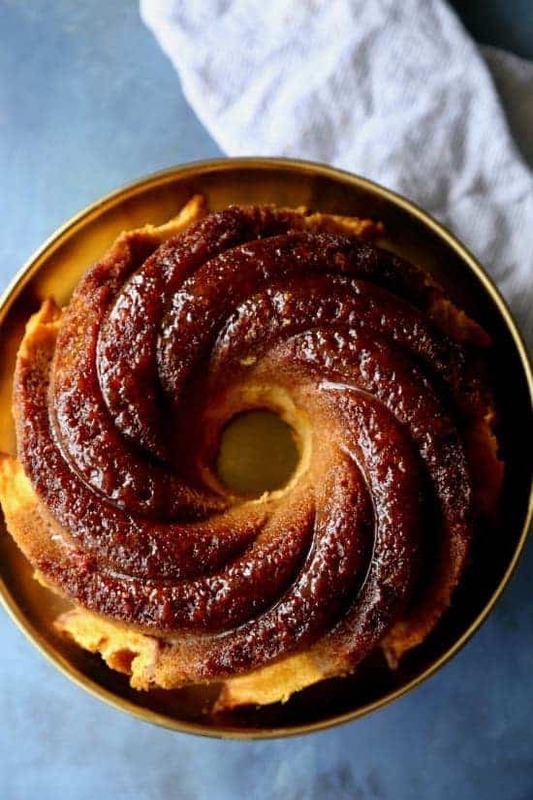 Pumpkin Recipes just scream fall to us! We love the aromas that fill our house from recipes like our Homemade Pumpkin Butter and our Pumpkin Spice Muffins. This Chocolate Chip Pumpkin Bread will fill your house with the delicious smells of chocolate and pumpkin with a hint of sweet cinnamon. Some words of wisdom… you may want to double the recipe and make a loaf for now and a loaf for later! 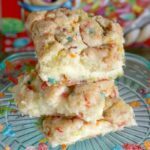 Jackie here from The Seaside Baker, and I am back again with another delicious, easy to make recipe. My friends think I am bit crazy because I get into the holiday spirit a bit early. Like August kind of early. While it may not be the norm, it works for me. The smells of pumpkin and spices baking in the oven get my creative juices rolling, and also make me want to clean. There is not much that makes me actually want to clean, so Chocolate Chip Pumpkin Bread in the oven everyday it is! 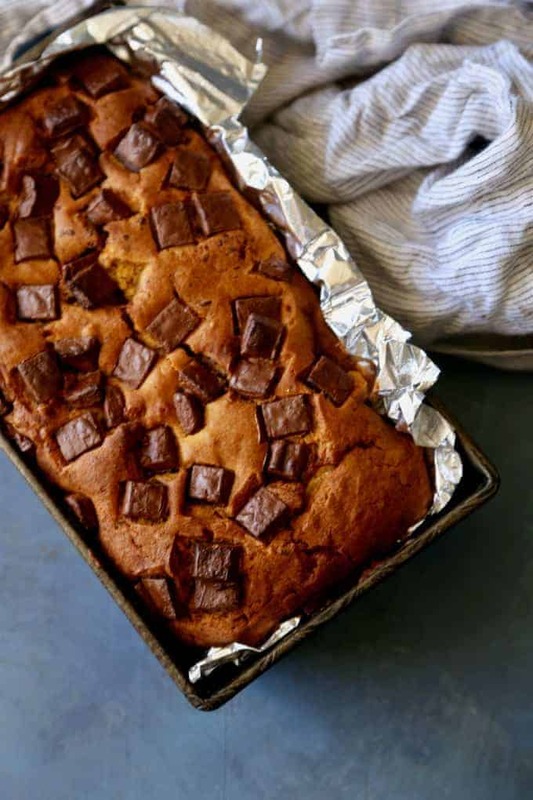 While we are talking delicious bread recipes, it is necessary that you try out Princess Pinky Girl’s Chocolate Chip Banana Bread Recipe. This is one of the best we have ever had! It is so moist and delicious. Do yourself a favor and try it! The day after Halloween last year my kids decided to play smashing pumpkins with all of our non carved pumpkins. With an unusually wet year, we ended up having a gazillion pumpkin plants in our yard. It was so fun watching them grow. Now, I have more then we can ever carve so I have been making homemade pumpkin recipes for the last month. 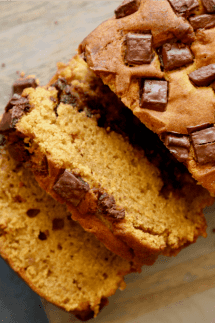 This Chocolate Chip Pumpkin Bread is a family favorite. My teenage son and his friends request it almost weekly. This recipe has become a staple in our home with at least 2 batches being made every Monday. It is incredibly easy to make and the batter comes together in less than 10 minutes. 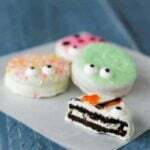 For more easy pumpkin recipes, check out my blog. 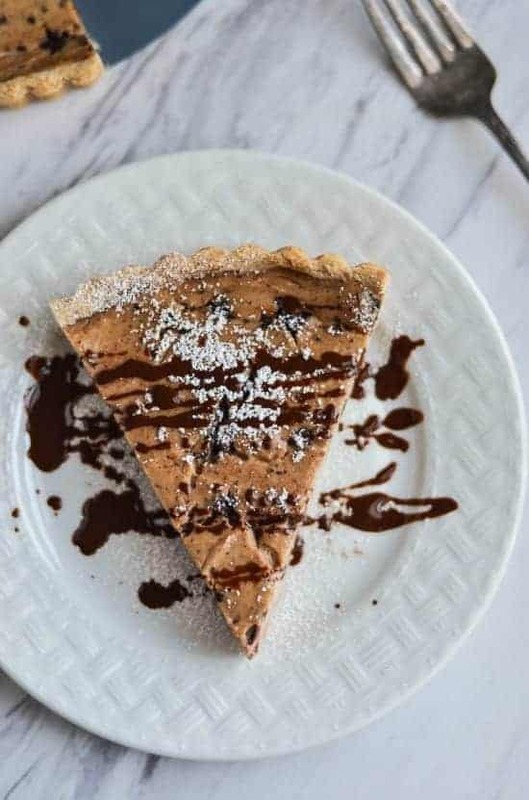 Click on the images below for some of my favorite recipes. Enjoy! 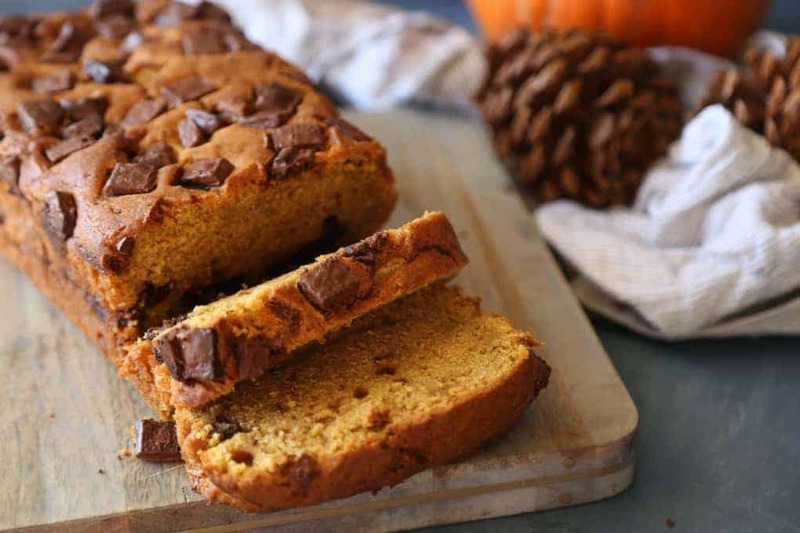 This Chocolate Chip Pumpkin Bread is a Fall must have. With it's sweet cinnamon, chocolate and pumpkin spice flavors swirling together to create this moist and delicious Halloween treat or Thanksgiving dessert! Preheat oven to 350 degrees. Spray loaf pan with nonstick cooking spray or line with foil. Pour the rest of the pumpkin bread batter and sprinkle with remaining chocolate. Cool 10 minutes then invert to remove bread from pan. Cinnamon chips in pumpkin bread is THE BEST idea!! Thank you so much for sharing this recipe. SO GOOD!! Wow!! This looks incredibly delicious!! I can’t wait to try this recipe!! Bring on the pumpkin! Love those big chocolate chunks! 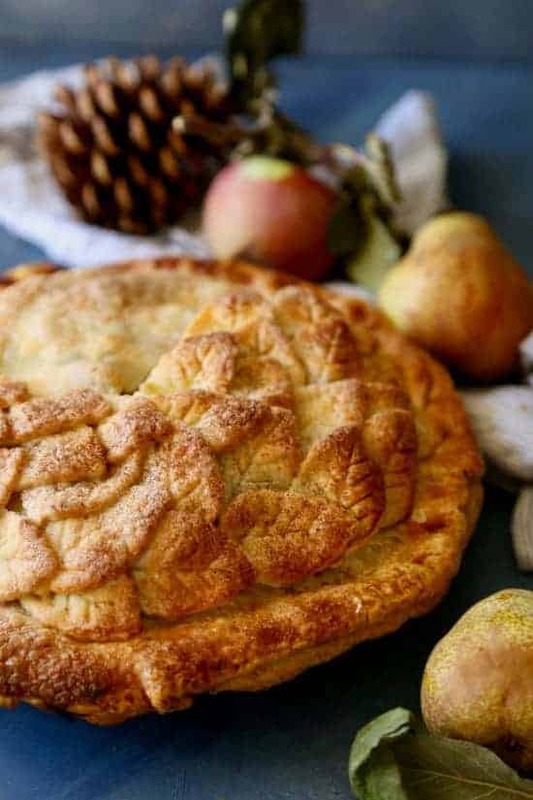 Such a delicious fall combo! Thank goodness it’s pumpkin season!